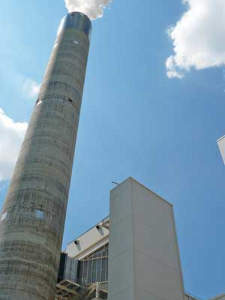 In the summer of 2009, the city of Springfield, Illinois opened the Dallman Unit 4 coal-fired power plant. The plant was designed from the start to meet the strictest emission limits in the nation. The Dallman plant was awarded the Plant of the Year award from Power Magazine in their August 2009 issue. Portland Bolt supplied a total of 43,100 pounds of galvanized grade 55 anchor rods and hardware in 73 separate shipments for the project between March and May of 2007. Many of the anchor bolt assemblies included fabricated plates welded in place to the rods. Shipments to the site averaged a two-week turnaround from the time each order was placed in order to meet the critical delivery requirements of the customer.